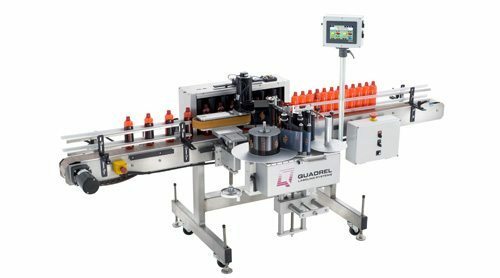 Quadrel’s PET beverage labeling systems are machines specifically designed for 12oz to 2 liter bottled water and sports drink containers. 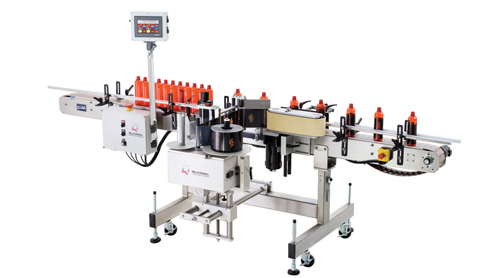 The technology used in this bottle labeling machine system may also be used for other unstable cylindrical containers such as vials and ampules. 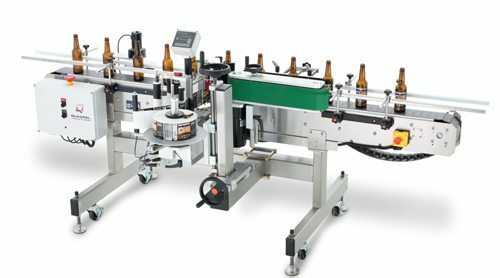 This compact and economically priced labeling system features stainless steel construction, microprocessor control and stepper driven label feed. 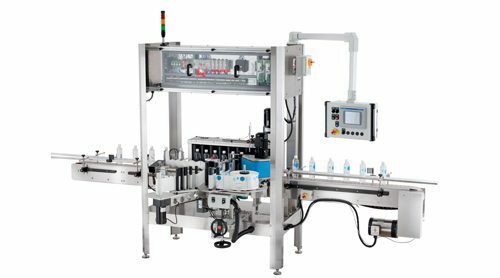 Ideal for small bottled water packagers with requirements of 100 bottles per minute or less. This technically advanced, versatile wrap labeling system features Allen Bradley PLC control and color touchscreen and provides state of the art technology at an economic priced. Speeds of 150 products per minute are possible. 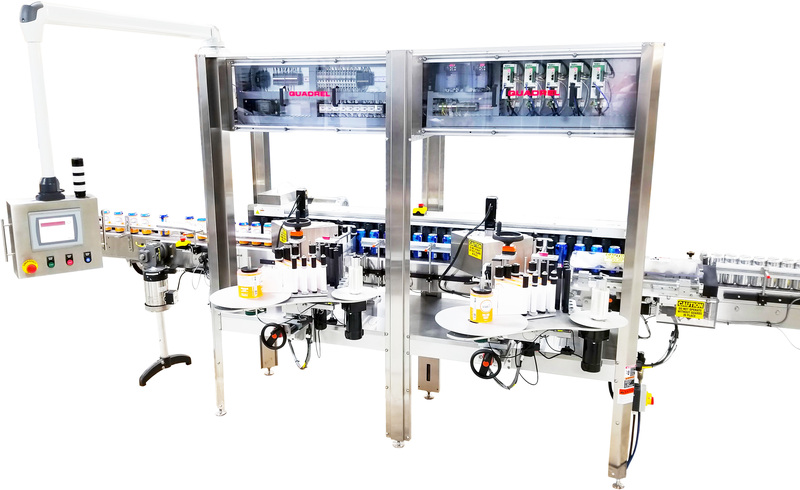 The ProLine PET beverage labeling system is designed for the most demanding 24/7 applications and features Allen Bradley PLC control, AB PanelView color touchscreen, internationally compliant guarding and speeds up to 300ppm. This is ideal for high speed juice or water applications.